Last night’s Golden Globes were actually fairly watchable, thanks almost entirely to Tina Fey and Amy Poehler, who turned in one of the best awards-show hosting performances in recent memory. They managed to be funny, charming and even pointed at times, while avoiding Ricky Gervais’s “look at me, aren’t I naughty!” schtick. 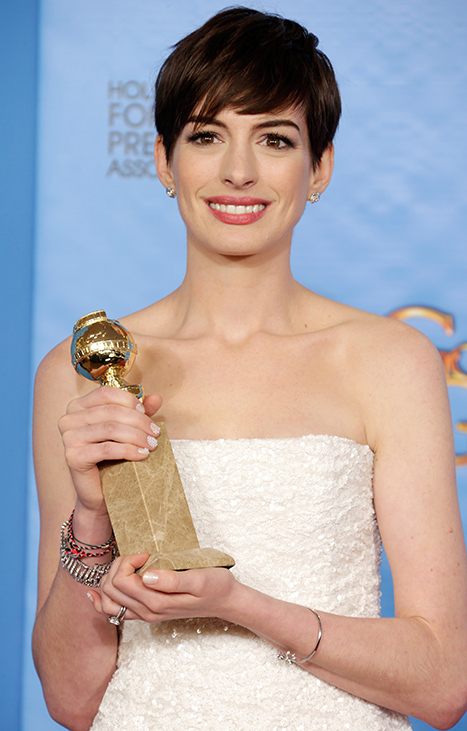 But there were so, so many terrible people at the Golden Globes! So many awful winners, nominees, presenters and innocent bystanders! Let’s count down the worst among them. For keeping Fey and Poehler off screen for a seemingly endless chunk of time in the telecast’s back half. Apparently, we needed to make sure we had time for the Hollywood Foreign Press Association president’s creepy speech, because that is definitely something viewers want more of than funny jokes by funny women. Downey Jr.’s self-satisfied presentation of the Cecil B. DeMille award to Jodie Foster reeked of a recovering addict who has turned himself into a bigger monster sober than he ever was drunk (see: R.E.M.’s “The Apologist“). Also, he apparently consorted with Mel Gibson on an elaborate stuffed hamster-related prank that fell predictably flat. Go away, Angela Chase. Leave Mandy Patinkin behind to perform the remaining seasons of Homeland as a one-man show. The important takeaway from Cohen’s comedy bit/awards presentation is this: it would have been less painful if he had done it in character as Bruno or Ali G.
Because she infects everything she touches with an air of fraudulence. Because I don’t believe a word she says, or sings, or a facial expression she tries to maintain. 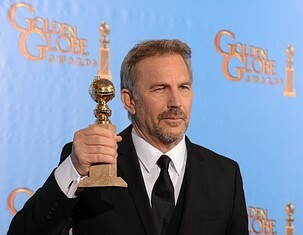 Costner won an award because he is a person whose name has appeared above the line in successful movies and now he appeared on television. The ever-starstruck HFPA couldn’t resist. But Costner treated this relatively meaningless honor as a career validation and an excuse to give a droning, ego-driven speech about how hard he had to work to make it in this crazy business. Sure thing, Postman. I used to like you, Anne. I really did. I mean…you were Meghan Green! Your initial acceptance speech was bad enough, what with its Taylor Swiftian “What? Who me? This award is for me? What a surprise!” routine, but your encore performance was so much worse. 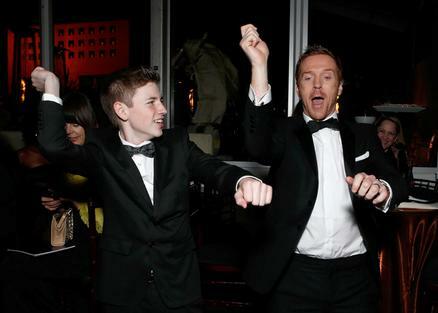 When Les Miserables won for best musical or comedy, you made sure to seize the microphone once more to make sure you accomplished an important task — told the audience that all the actors wanted to thank their reps. Gross. You are the worst. OMG! I planned to give Girls a second chance this season, to see if I could figure out what I was missing that so many people seem to love, but after watching Dunham on stage last night, there’s no earthly way I can ever give her show a fair shake. Because I hate her. Because she is terrible and shrill and finds herself way too cute and quirky. “Get super close, you guys!” Ughhhhhh. Jodie got her acceptance speech off to a pretty bad start by quoting the “I’m 50!” bit from SNL, one of that show’s most irritating recurring sketches ever. She proceeded to give a lengthy, rambling, embarrassing monologue about privacy and Honey Boo Boo and coming out, I guess. There was much self-aggrandizing. The speech seemed like it was ghost-written by Nell. And most importantly, on a night in which she publicly came out as gay, a night that should have been a monument to tolerance, Foster brought Mel Gibson as her date and seated him prominently in the front row for the cameras and God and everyone to see. Gibson himself didn’t make this list because he’s no longer relevant enough to count. But Foster enabling her racist, misogynist pal was the most despicable act of all. I am so late to this party but I’d like to echo your thoughts on Lena Dunham. Couldn’t get through two episodes of season 3 of Girls.